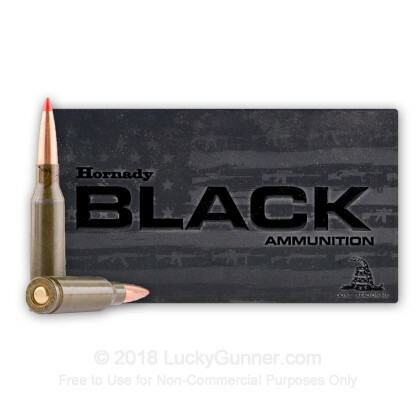 Hornady manufactures these 5.45x39mm BLACK rounds using traditional components for dependable function with imported AK-74s as well as domestic U.S. rifles like the S&W M&P-15R. These parts include classic, non-reloadable steel casings equipped with non-corrosive Berdan primers. 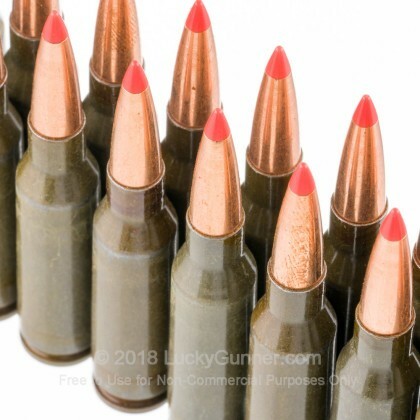 Unlike surplus spam can ammo, each of these cartridges is topped with a 60-grain V-MAX projectile; the weight is formulated for flat travel out to typical hunting distances and compatibility with older military rifles. 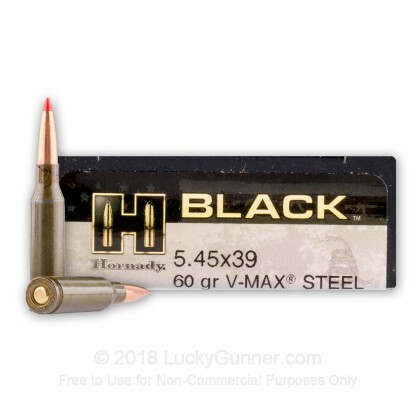 Hornady designed the V-MAX bullet for reliable expansion in thin-skinned game like varmints or younger hogs. This performance is achieved via a strong copper jacket, a hollow cavity up front, and a polymer tip which tapers to the bullet's shape. While in flight, the polymer point acts as a drag-resistant windshield and then initiates expansion upon impact. The bullet's jacket resists separation from the lead core and preserves momentum necessary to reach vital organs. 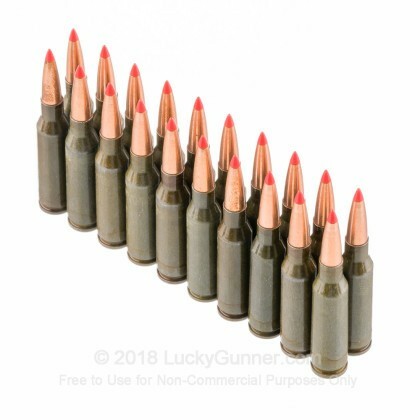 Hornady is a highly respected ammunition company that backs their products with quality control methods that have undergone constant refinement since 1949. 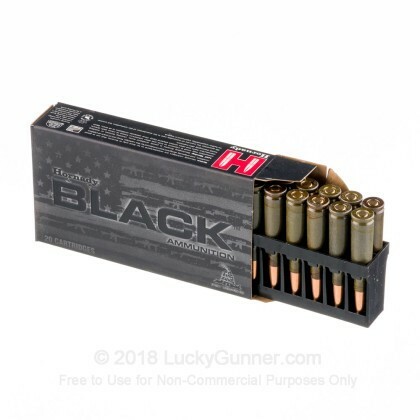 We don't have any reviews yet for this particular 5.45x39 Russian ammo from Hornady. 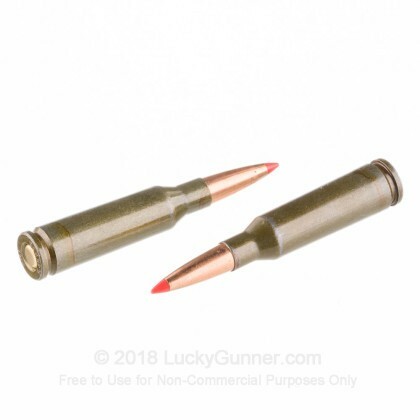 If you'd like to be the first to review this particular 5.45x39 Russian ammo from Hornady, fill out the form below.